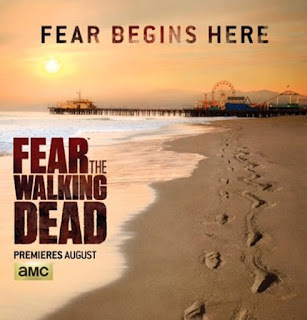 FEAR THE WALKING DEAD Gets An Expanded Season? The show has not even aired yet and AMC is already taking a stance and showing solidarity behind the project by expanding the number of episodes they have ordered for the second season of Fear the Walking Dead. That's right, but before you think that's odd, you should know that AMC ONLY ordered six episodes for the first season of the Walking Dead prequel. They don't like committing to things. They've upped the episode count to 15 for the second season, which if they stay on course for how they handle shows, there will be seven or eight eps, then a huge mid-season break, then the show will return to finish off the season after that. Then again, this is almost exactly how they treated The Walking Dead, giving it a first season with six big eps. At SDCC 2015, they said that if it all works out right, they'll manage to have a Walking Dead episode on during every week of the year. In case you had not heard or seen, the plan is to have this new prequel eventually catch up to events that will be taking place in The Walking Dead.